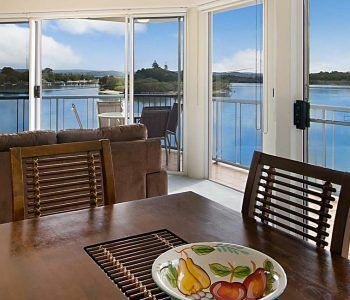 Reflections is Maroochydore holiday accommodation at its best. Boasting a perfect riverfront location right on the banks of the Maroochy River offering a stunning outlook and superb facities. 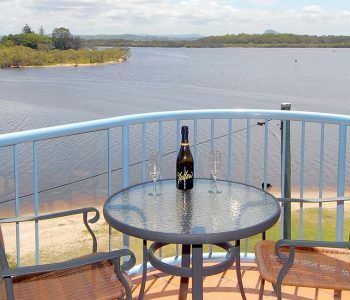 This resort located on the corner of Picnic Point and the Maroochy River, harbours stunning views of the surrounding area, it is also known as one of the best fishing spots on the Maroochy River and the perfect location to enjoy a sunset at the end of the day. 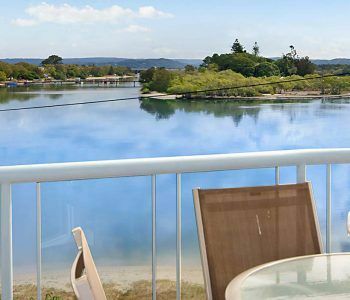 All within a short walk from this Maroochydore accommodation you will find everything you need. The Sunshine Plaza shopping centre, restaurants, cafes, shops, bars and much more to explore. Of course when you stay here the river will become your playground, swim,kayak, fish, paddle board or even sail. Try something new and relax by the water. You could also enjoy an evening walk or a bike ride along the river or on the cycling tracks that start right in front of your front door. How convenient is that? You can even hire a bike from reception or bring your own. Everything we do here at Reflections Maroochydore is about making your time with us easy, stress free and fun so that you can truly relax and enjoy your time on the beautiful Sunshine Coast. There are local Sunday markets at Cotton Tree to explore or head to nearby Eat St for a great range of alfesco dining options. Nights on Ocean is an evening art and craft market which is also well worth a visit. Held every 2nd Friday night, where you enjoy casual dining with a range of pop up food tents selling their wares as well as local arts and crafts and roving entertainers . You can find something new and exciting here every day during your stay at this Maroochydore holiday accommodation.